4. Multiply this correction by cos(α). Increasingly Improved Rifleman's Rule = IIRR? 2I2R = two-eye-two-arr? Naming contest is still ongoing, suggestions are welcome. When analyzing errors of Improved Rifleman's Rule (which appeared the most promising), I noticed that they are more or less (well enough for a heuristic method) linear in distance, at least for angles beyond ±20º. Now we proceed to the most accurate approximate method used by Sierra Bullets. Only proper ballistic calculator can do better. But there's no free lunch - we'll need information not normally found in ballistic tables, namely vertical bullet drop at various distances. See the following picture for explanation. As before, red line (LOS) goes straight from shooter's eye to target. Green line is bore axis. 4. 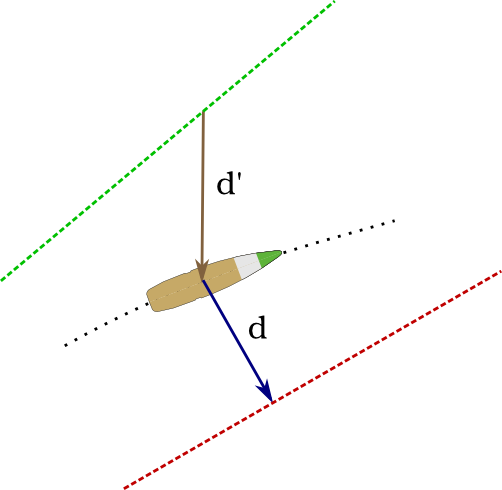 Multiply this correction (and not distance D) by cos(α). Moving on to the most popular empirical method - Rifleman's rule. 4. Look up compensation as if shooting horizontally at distance De. book on sniping top of the line. Now let's see when inclination does matter. 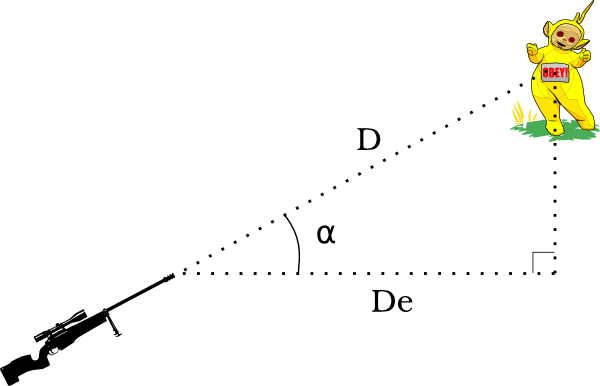 The table below shows what happens when slope is ignored, i.e. there is no correction for inclination. (Errors in cm, same color coding as above). It's easy to google gory details on gyroscopic precession and Coriolis force and analyze every minute factor, but when (and if) is it worth doing? Case study: standard army issue Fass 90 assault rifle, 300 m battle zero. How does it behave when shooting at an angle? The Swiss army manual responds with exactly one concise sentence: "when shooting at an angle beyond ±30º, aim low". Not much for a mountainous country.